John was born in 1926. 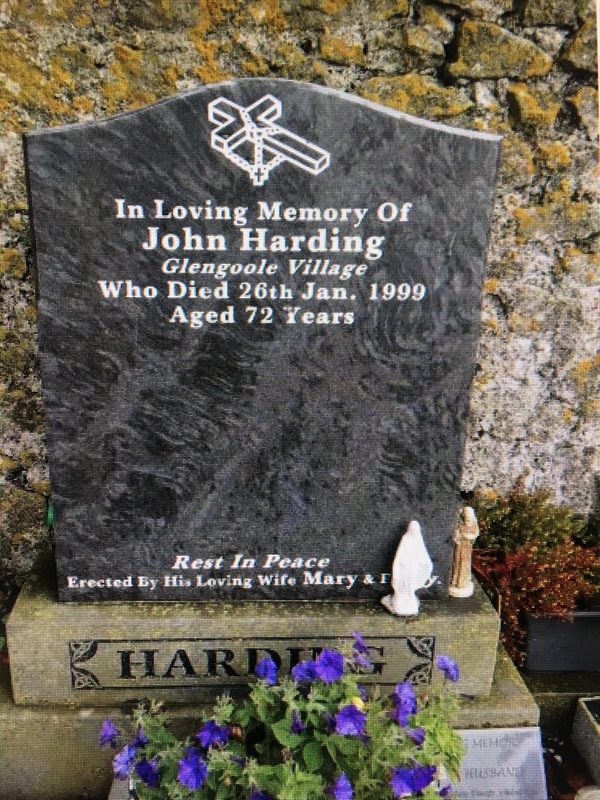 John's father was Laurence Harding and his mother was Mary (The Topper) Casey. His paternal grandparents were Nicholas (Nicklos) Harding and Margaret (Maggie) Heffernan; his maternal grandparents were John Casey and Mary Carrol. He had three brothers and three sisters, named Nicholas, William, Edmond, Peggy, Mary and Teresa. He was the second oldest of the seven children. He died at the age of 73 on January 26th, 1999. John's occupation was Coal Miner.